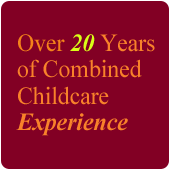 We are two local mothers that have over 27 years of childcare experience between the both of us, who value strong family relationships and the importance of early childhood education. After several years of working together in a large child development center in downtown Portland we decided it was time to start our own “family” and thus Rising Stars Child Development Center was born. We are a state licensed facility located in the Portland / Happy Valley area. 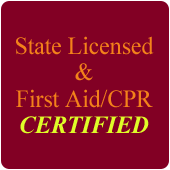 All staff are CPR and first aid certified, as well as required to take 15 hours of continuing education courses throughout the year. 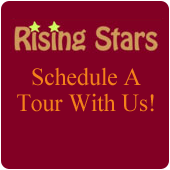 We believe that the teachers at Rising Stars Child Development Center are a valuable part of our family, by nurturing a professional and positive work setting for our staff we create a stronger learning environment for your child. We would love to have your child join our family and experience the joys of a safe, fun, and caring atmosphere.